Brief Synopsis – After his wife and son are killed in a terrorist bombing, a firefighter seeks to enact revenge on the terrorist that perpetrated the attack. My Take on it – This is a film that takes an interesting premise of a man seeking revenge after his family is murdered in a terrorist attack and goes absolutely no where with it. This doesn’t work on any level and was not enjoyable to watch in the least. Yes, I’m aware that it was made and released at a really poor time since it was right after the 9/11 attacks so it’s possible that some of the subsequent changes made weakened the film, but I have a hunch that it isn’t as different than originally planned. Arnold Schwarzenegger was a powerhouse at the box office in the 80’s and 90’s but his popularity started to wane by the end of the 20th century and this film is among his worst. The idea to have a lone firefighter try and take on international terrorists isn’t such a great one and it comes across as being quite silly in this case especially since Arnie’s character chooses to never shoot or wield a gun in this film while he is seeking his revenge. Bottom Line – Terrible film that doesn’t work on any level. The timing of the film’s release led to numerous changes that have perhaps made it even less watchable than it might have been beforehand. 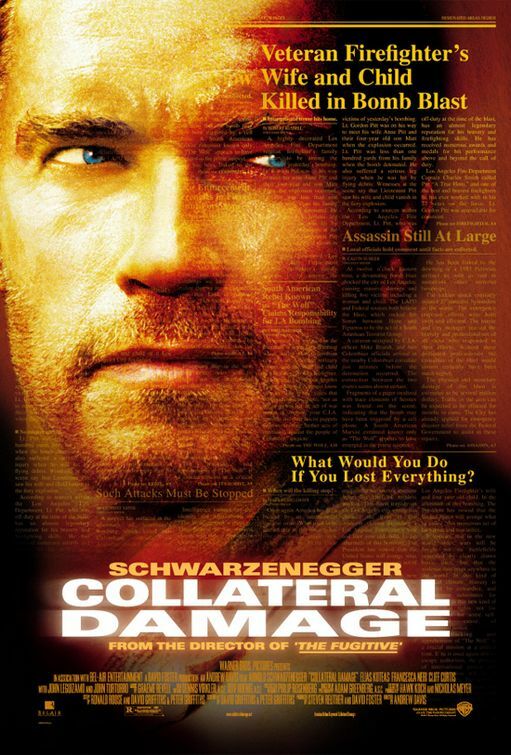 Schwarzenegger does a really poor job in this film and having a firefighter take on international terrorists is a silly idea from any standpoint. Even the action scenes feel as if they were toned down too much which takes away the idea that this could be just a fun popcorn flick because it isn’t just a regular Arnie shoot-em-up.